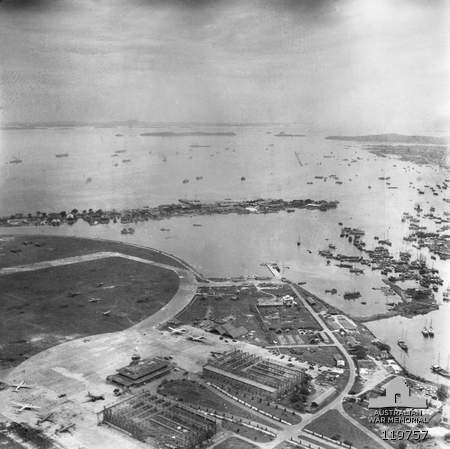 That was the Kallang Airport. 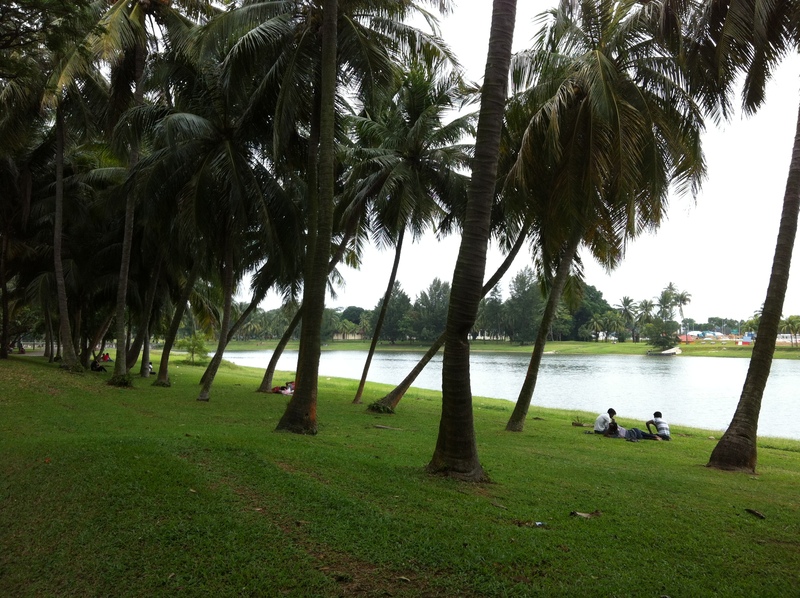 Before the land was used for the airport, the Malay and Bugis people stayed in the area. These people were resettled into a place known as Kampong Melayu. 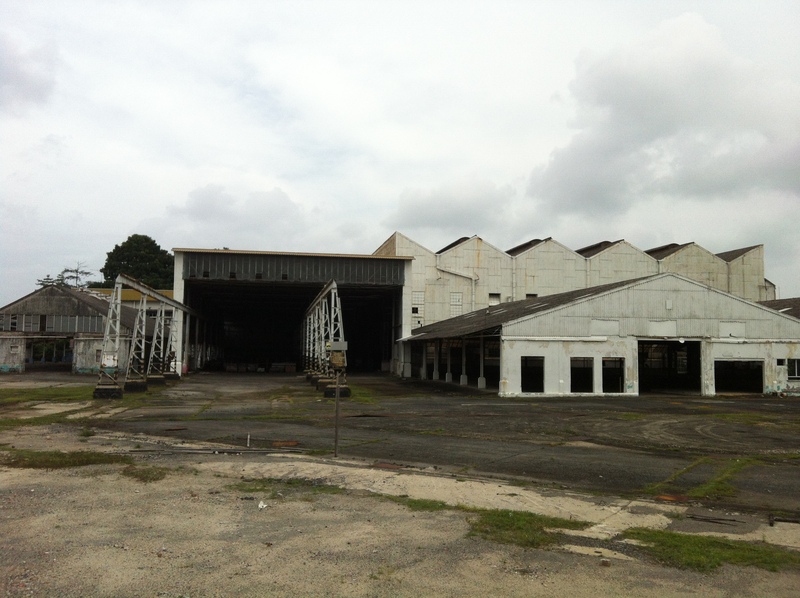 Then known by a multiplicity of names, including Kallang Airport, Kallang Aerodome, Kallang Airfield and RAF Kallang, the airport was first built in 1937. It was both a port for airplanes and also an anchorage for seaplanes. Seaplanes are winged crafted capable of landing and taking off on water. 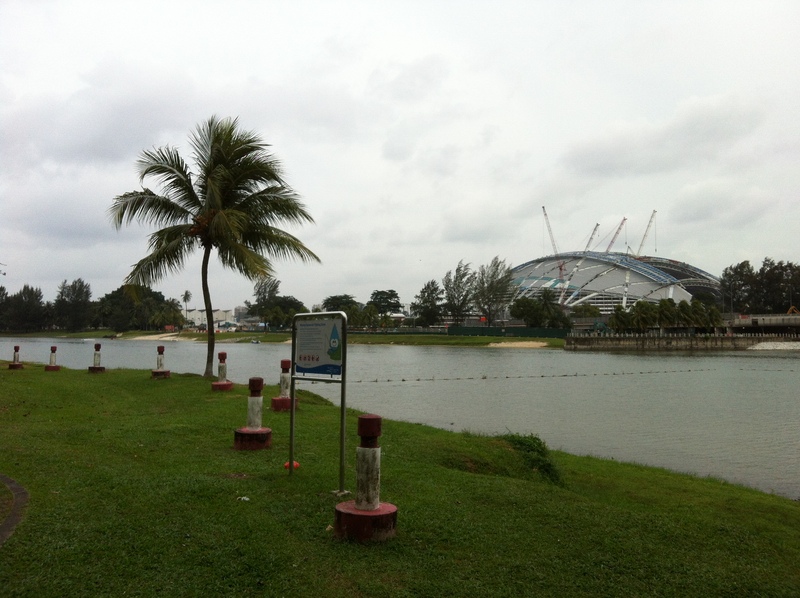 The view above is today where the Kallang Riverside Park sites. 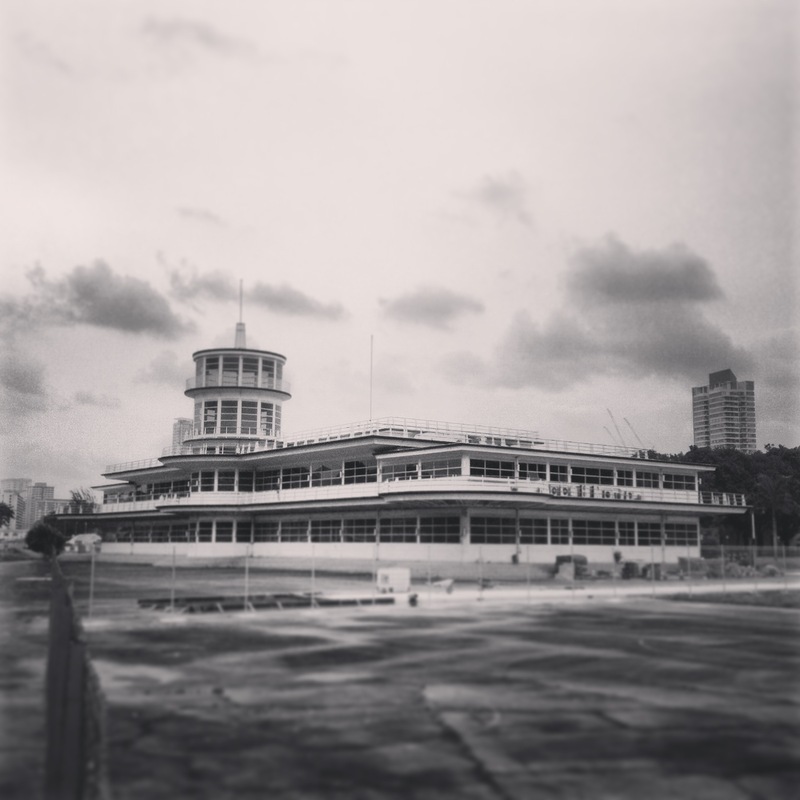 Kallang was as successful as Changi in its heyday. It was even described as the “finest airport in the British empire”, in 1937, a famous journal called it the “aviation miracle of the East”. More and more planes wanted to land in Singapore, the runway needed extension, as did the airport, but there was no way for it to be done because of residential buildings all around the spot.The hanger was too small for the larger planes that wanted to land in Singapore. 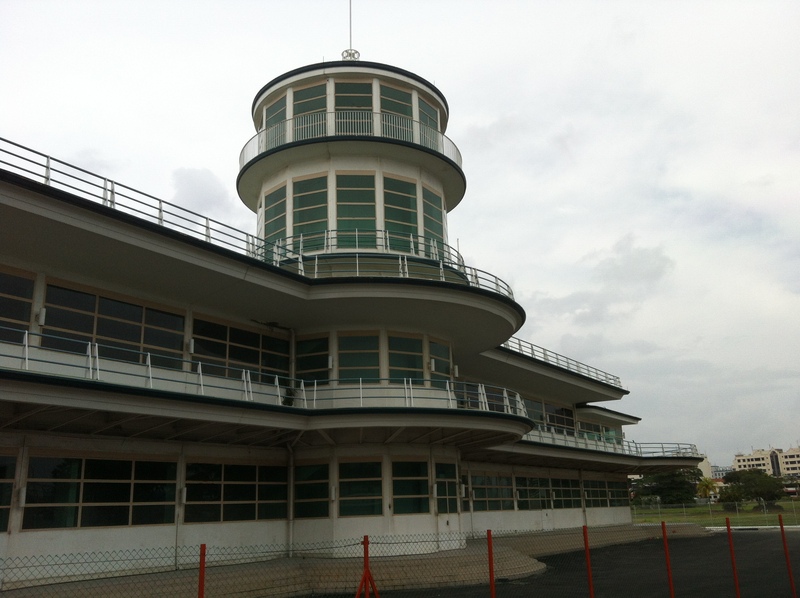 It was in service till 1955 when the airport moved to Paya Lebar. The present airport is the world famous Changi Airport. It was the headquarters of various groups, including the Public Works Department, Central Manpower Base and People’s Association until 2009 and is presently unoccupied. It was gazetted as a conservation building. Apart from serving as an airport, it also serve as a political rally point. 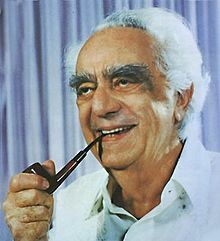 In 1955, then leader of the Labour Front, David Marshall delivered a political merdeka rally, arguing for self-governance with some 20,000 people in tow. A riot ensued, which hurt Marshall’s credibility in the eyes of the British. Marshall was to leave for London four days later to negotiated for self-governance, failing which he promised his resignation. The British were only too happy to oblige. 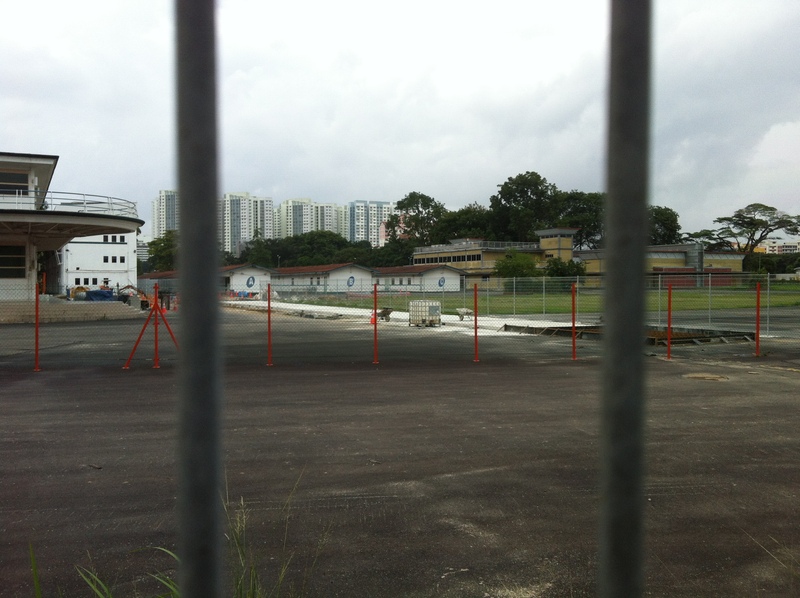 Sitting on the site of the runway, is now the sports hub and the indoor stadium. I reckon that when the Sports Hub reopens something will happen to the Old Kallang Airport, a revival of traffic, this time from the same runway. Just this time, instead of planes landing, maybe shoppers or diners?